A Charlotte development group has begun work on a $15 million mixed-income apartment complex bordering Wake Forest Innovation Quarter that’s expected to be completed next spring. 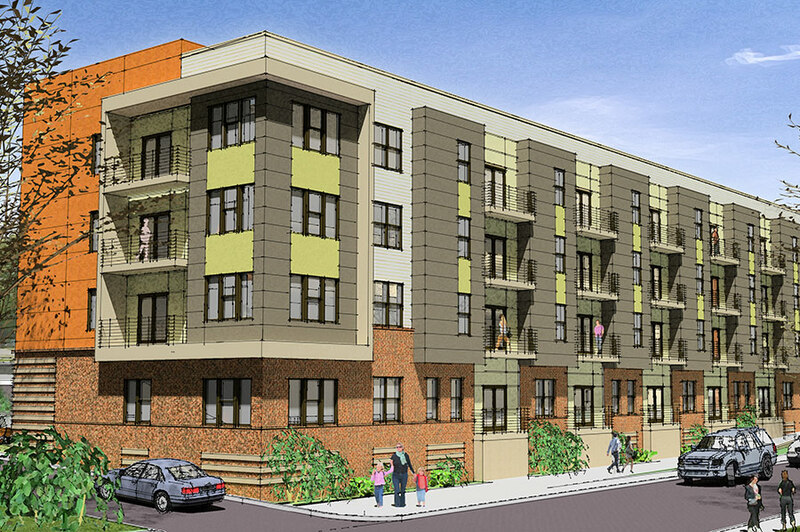 Laurel Street Residential is building a four-story, 115-unit complex between North Chestnut Street and North Patterson Avenue at Martin Luther King Jr.Drive, just north of the downtown district, on land previously owned by the Goler Community Development Corp. The complex is unique among downtown Winston-Salem residential developments in that it will offer a quarter of the units at “workforce housing-level rents,” said Dionne Nelson, CEO of Laurel Street Residential. The complex will have studio, one- and two-bedroom units with amenities that include a fitness center, a yoga studio, a game room and a patio with grilling areas. Nelson said Laurel Street has been working on the development with Goler Community Development Corp., which is also an investor in the project, and the city of Winston-Salem for more than a year. Laurel Street purchased the 2.2 acre site from Goler Community Development Corp. in February, with Creative Builders Inc. of Greenville, S.C., recently beginning work. Nelson said her group has developed more than 1,500 units and with an investment of more than $180 million in projects, with a particular focus on developing mixed-income communities. Rents at the complex, named 757 North, will range from $740 to $1,550. Those set aside for workforce housing-level rents will be available to renters making 80 percent or less of Winston-Salem’s median income, with rents ranging from $740 to $850, Nelson said. “It’s going to present the opportunity for people to live very close to where they work in a growing downtown district,” Nelson said. The city of Winston-Salem is supporting the project through a $1.25 million subsidized loan approved late last year to be repaid over 20 years as well as a $325,000 land grant. Along with Goler, Northridge Capital of Washington, D.C., is also an investor in the project, with NewBridge Bank providing a $9.4 million loan. Winston-Salem is seeing increased investment in residential projects in downtown. GEMCAP Cos. is progressing on Twin City Lofts, a $10 million-plus development including 21 high-end luxury condos at Fourth and Marshall streets that is expected to be completed this summer. Additionally, the completion of the $55 million Plant 64 complex in late 2014 brought 243 units online within Wake Forest Innovation Quarter. Read the original article in the Triad Business Journal.